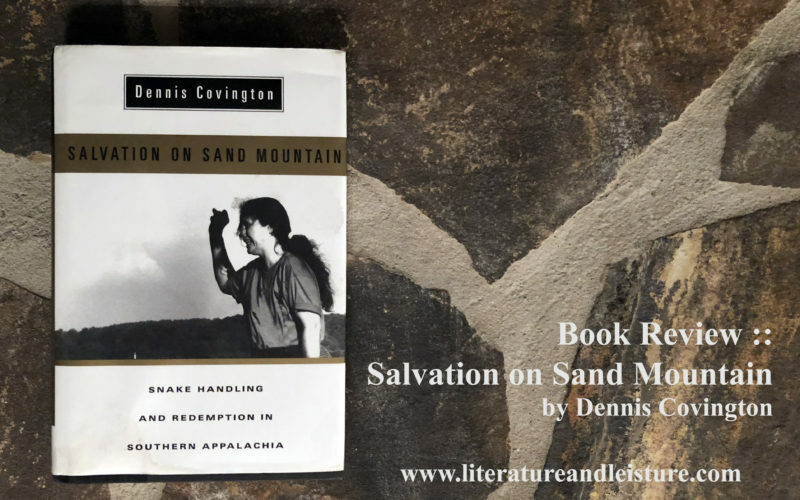 In Salvation on Sand Mountain: Snake Handling and Redemption in Southern Appalachia, Dennis Covington takes a firsthand look at the mysterious and mystical practice of handling poisonous snakes in religious worship. In American literature – and perhaps beyond – there is no more common caricature than the religious zealot. And among these, the Southern snake-handler reigns supreme. For those not from the South, the idea of snake handling falls into one of two extremes. As a folktale, something akin to Irish leprechauns. Or, something so common that on any given Southern Sunday, a hyperactive toddler rattling his mother’s bulletin might be mistaken for the warning of a twitching tail within a stealthily placed wooden box. For those of us from the South, we understand that the truth falls squarely in the middle. We’re pretty sure we’re only one or two degrees separated from a practicing handler, but we’ve never actually seen one in the wild. Maybe this is why Covington’s book is so intriguing. Dennis Covington begins his research as a journalist-observer of Appalachian snake handling after the trial and conviction of one of its preachers, Glenn Summerford. Summerford was sentenced to 99 years for the attempted murder of his wife. At gun point, he forced her to stick her hand in a box of agitated rattlesnakes. As a preacher, divorce was out of the question – this seemed like a more reasonable way out. She was bitten twice, but survived to tell the tale. Covington’s coverage of the story seemed to only whet his appetite. Eventually, Covington takes up snakes in worship, too. Covington’s firsthand account of living and worshipping among this unique breed is authentic, balanced and is the closest to what I think an accurate portrayal could be. 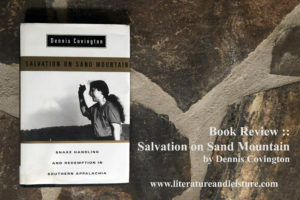 And it isn’t just the subject matter that makes Salvation on Sand Mountain worthwhile. This memoir is well-written and gives readers an honest peak (very literally, as it includes photos) inside a culture many have heard of but few will ever experience. Salvation on Sand Mountain has an important place on the shelf of the Southern cannon.